The original Mexican taste that satisfies your craving for flavor and your appetite. 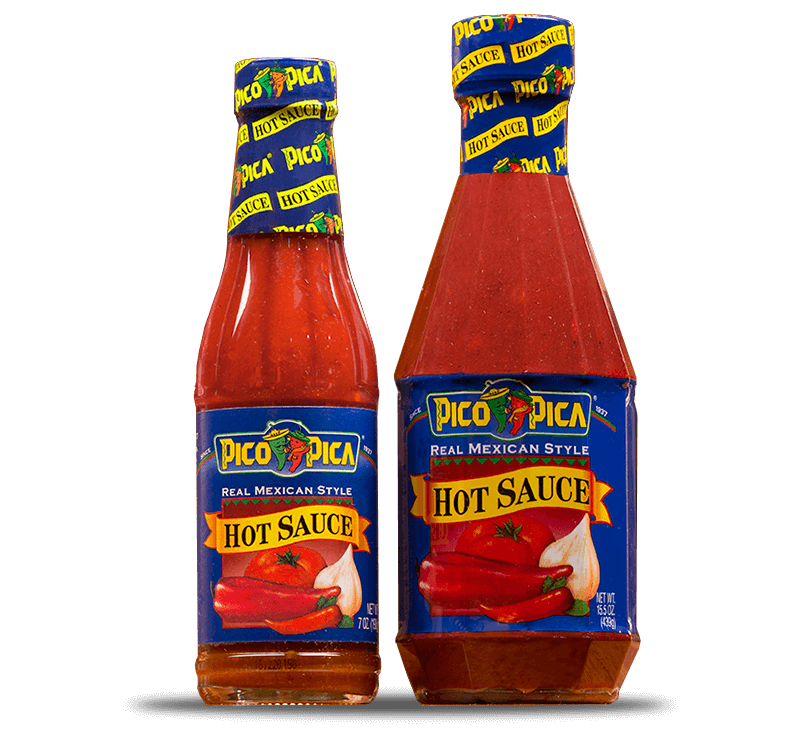 Created from an exquisite mixture of jalapeños and red chili, with a touch of pepper and traditional spices from Mexican cuisine, Pico Pica Hot Sauce is the ideal garnish for eggs, tamales, tacos, soups, meat and even fish! This has been the favorite salsa of connoisseurs for more than eighty years. Wait! You haven’t already tried it? What are you waiting for!? Wherever you are in the world, if you talk about tacos, you talk about Mexico… and a good sauce to go with them. As they say, the sauce makes the taco. 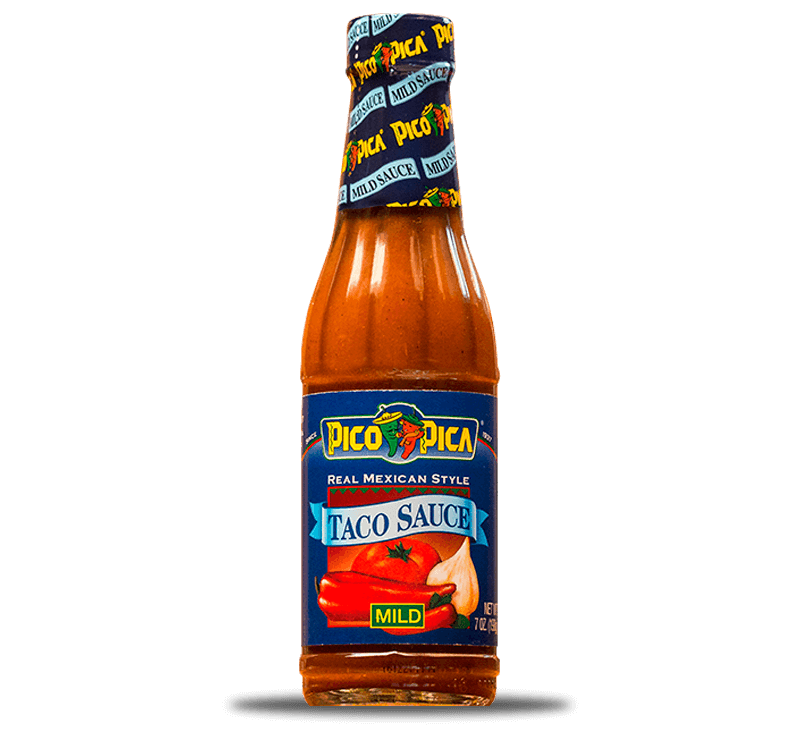 And here, the taco aficionado uses a traditional and original sauce – Pico Pica Taco Sauce. This is the type of spicy that lets you enjoy all the flavor without the burn. And why limit yourself to tacos? Try it with other Mexican dishes. It’s more than worth it! If you haven’t tried it – hurry up, go get a jar! 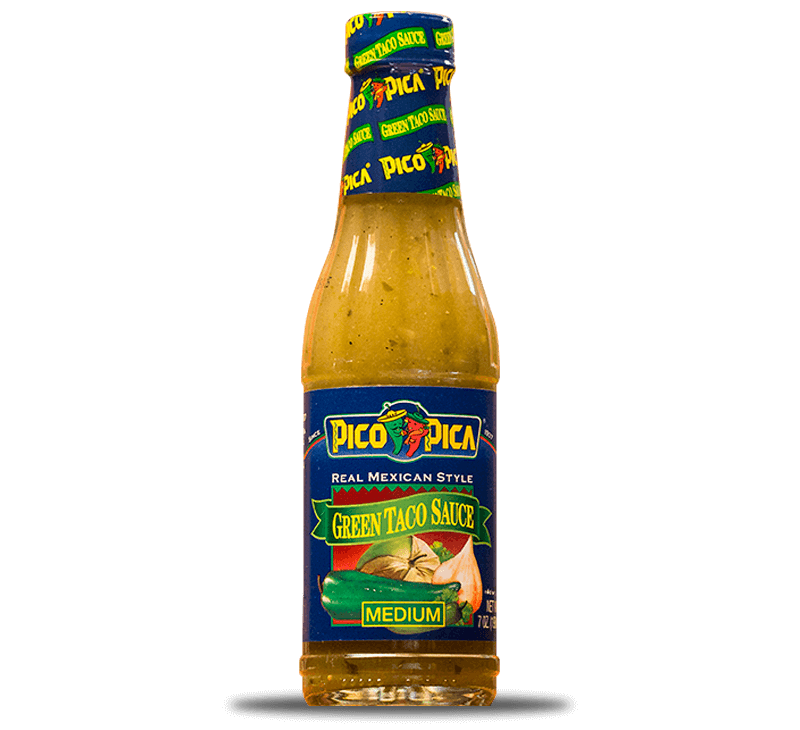 With green chili, roasted tomatillos and traditional Mexican seasoning, our Pico Pica Green Taco sauce will give your Mexican dishes the perfect flavor. Deliciously spicy, it is the perfect addition to your breakfast, lunch and dinner without a second thought. 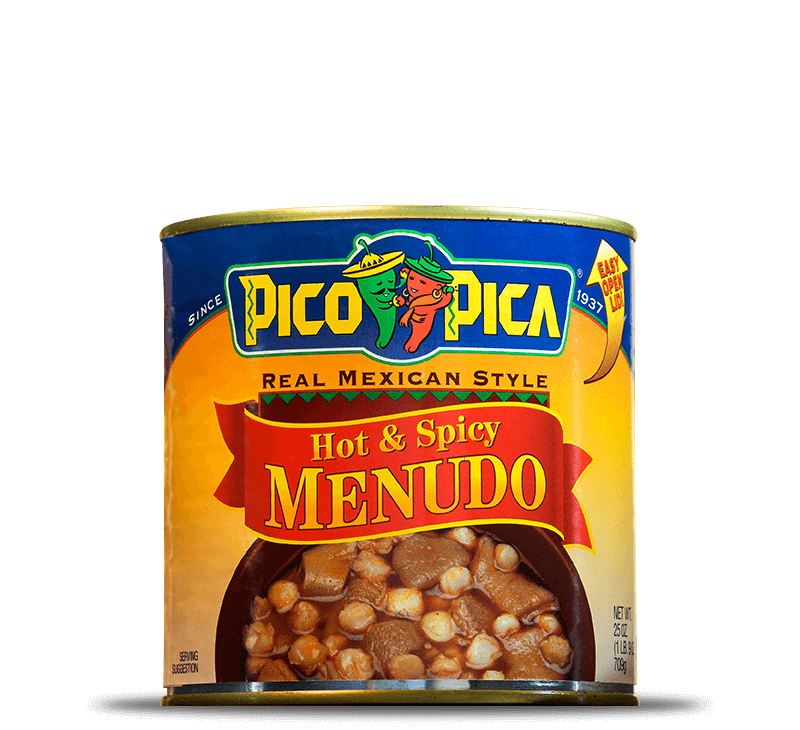 Eighty years in the kitchen back us up, so go get some Pico Pica Green Taco Sauce. The authentic northwest Mexican flavor, prepared with red chili and hominy, so that when you taste it, you feel at home. And best of all, it’s ready for you to heat and take it to the table! 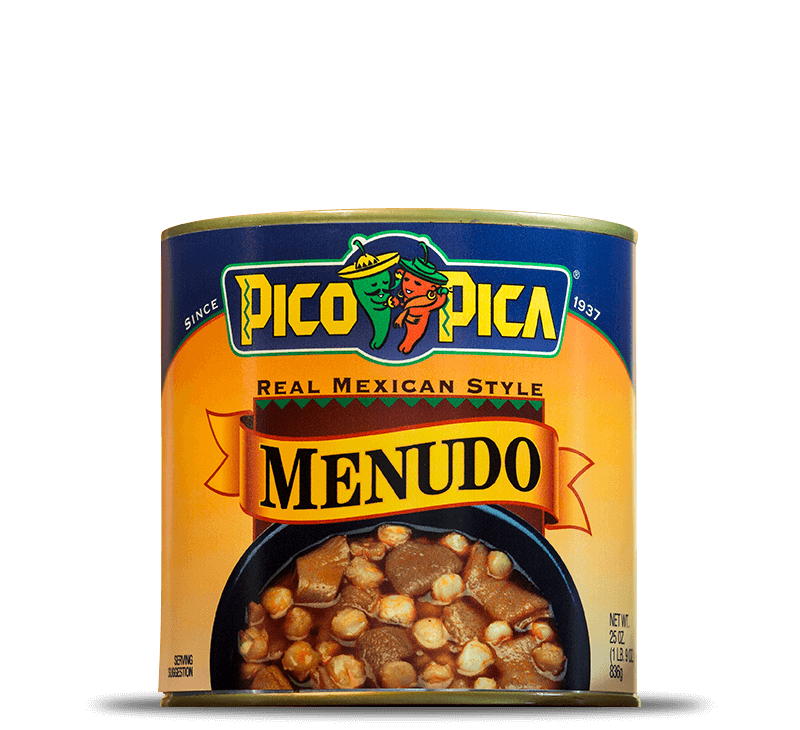 Just add a little oregano and lemon, and enjoy the original flavor of menudo as a connoisseur. The traditional seasoning that you already know from the Mexican northwest, accompanied by a mixture of red chili peppers and other spices, so that the flavor really stands out and becomes one of your favorites. It is prepared with the best ingredients so you only have to worry about the tortillas and your guests. Ready to serve – enjoy!